Thank you for visiting my old blog! Please follow me at my New blog when you would like to see more of my artwork and inspirations. The Peace Palace mini-series was presented at the official opening at the Peace Palace Visitors Centre 30 May 2012. 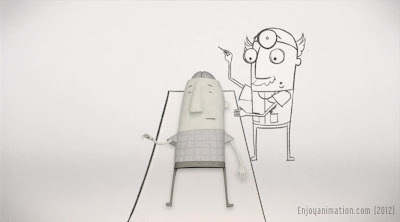 Character animations for projections at a Dutch Farm Het Gagelgat in Soest. Official opening 23 juni 2012. Illumation Wateruitstapjes ANWB iKampioen (editie 6). 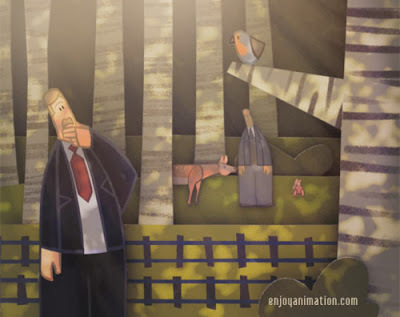 The Peace Palace films have been selected for competition, by Anima Mundi in Brazil and SICAF2012 in South Korea. A swinging new painting. Painting Dancing Tree. 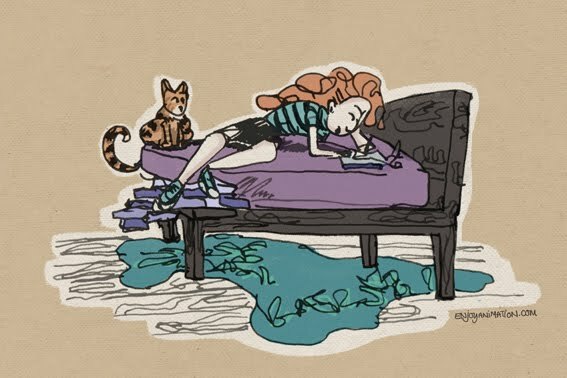 A cool animation test for a pitch, sorry, cant show it yet. A great week at the Annecy Animation Festival, including the premiere of Hisko Hulsing's “Junkyeard”. A short in which I've helped as an animation assistant. Concept design and teaser for a very cute children's series. 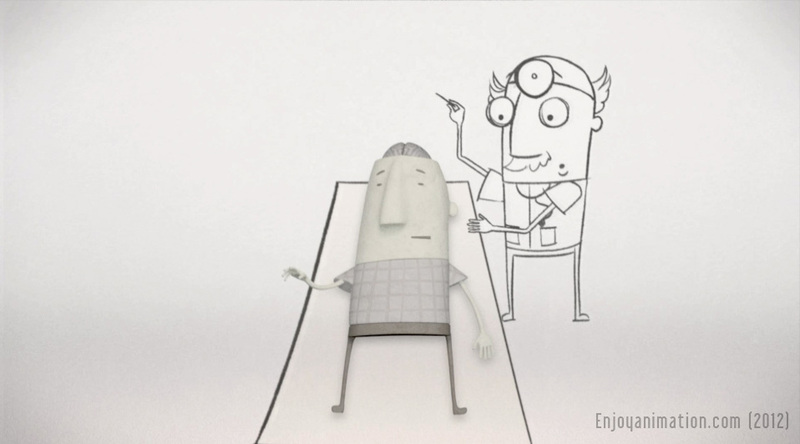 Character designs and animation for a couple of animations combined with live-action footage. 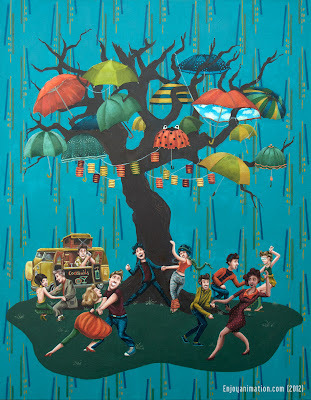 Last week I've finished my swinging new painting. Dancing Tree: 90 x 70 cm, Acrylic on canvas, 2012 (sold). 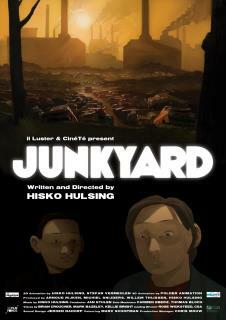 Junkyard (2012, première) by Hisko Hulsing. Illuster Productions. I’ve worked on this movie as an animation assistent in 2008. Click here for a small preview. Father (2011) by Ivan BOGDANOV, Moritz MAYERHOFER, Asparuh PETROV, Veljko POPOVIC, Rositsa RALEVA and Dmitry YAGODIN. Stella and Sam (2011) Directed by: Dave MERRITT, Ray JAFELICE. Production: RADICAL SHEEP PRODUCTIONS INC., John LEITCH, Michelle MELANSON, Jain DICKSON. Click here for an overview of the award-winning films of Annecy festival 2012. ANWB iKampioen illumation Wateruitstapjes (2012). 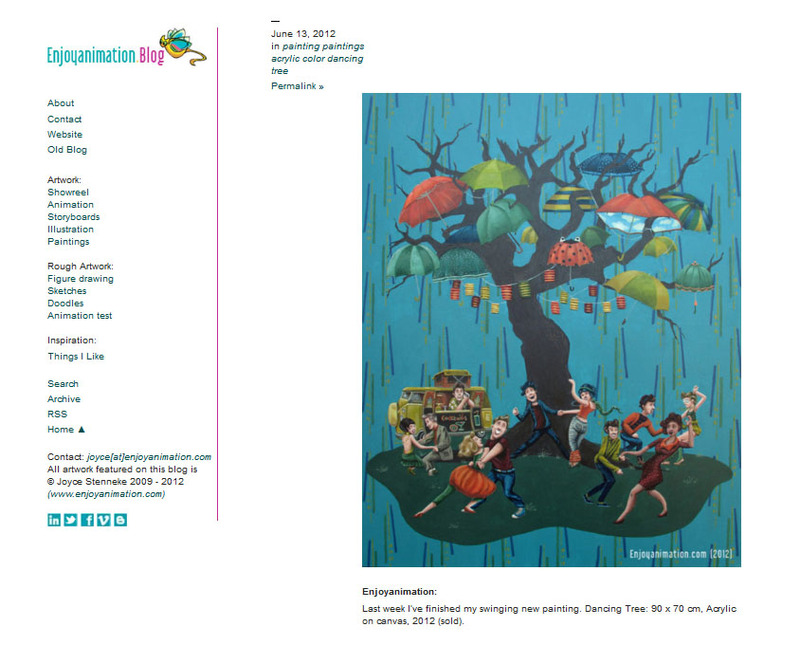 Publication: iKampioen edition 6, 2012, page 10. iKampioen is a Dutch digital magazine. Studio’s: Erik van Schaaik Productions & Vijselaar en Sixma. Client: ANWB. Responsible for: 2D character animation. News! The Peace Palace" films have been selected for competition, by Anima Mundi in Brazil and SICAF2012 in South Korea. Peace Palace animated mini-series: Peace Palace, ICJ & PCA. Animation studio: RocknRoll Animation. Producer: The Drawing Room. 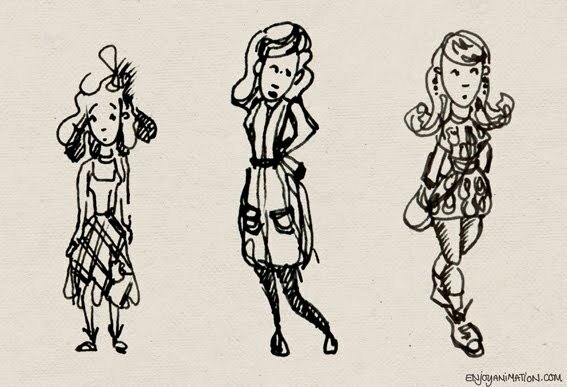 Responsible for: Character design and development, 2D character animation. All artwork featured on this blog is © Joyce Stenneke (Enjoyanimation.com) 2009 - 2012.